The picturesque County of Yorkshire is among the largest in England and is divided into four parts - North Yorkshire, South Yorkshire, East Yorkshire and West Yorkshire. The city of York, famed for its historic Roman Walls and its charming medieval streets is home to the famous York Minster Cathedral. The Yorkshire Dales is an area of outstanding beauty, with a large part being designated as one of England and Wales' protected national parks. Local attractions include Bolton Castle, a magnificent medieval fortress built in 1399 by Richard le Scrope and North Yorkshire Moors Railway, a preserved steam railway running 18 miles through the picturesque North Yorkshire Moors. Limo hire in Yorkshire is just as outstanding with a range of limos to choose from such as the huge 8-wheeler Hummer limo, white Hummer, Lincoln Navigator limos, exotic Porsche Cayennes, Range Rover Sport limousines, BMW X5 limos, Red Fire Engines for the kids, Pink Panther Ford Excursions for the ladies and many more. Contact us today for all types of limousine hire in Yorkshire. We have searched far and wide to find the best limo companies and we feel we have access to the best limo operators in Yorkshire. They will always go the extra mile, offering a quality service, guaranteed to make your limousine experience the best. The limos they provide are amazing, including white Hummer limousines, 8-wheeler silver Hummers, Baby Bentleys, Fire Engines and a large selection of stretch Lincoln limousine (available in white, black and pink). Contact Limotek to experience these fantastic limousines for hire in Yorkshire. The ancient capital of Yorkshire is York, one of the great cities of the medieval world. Still encircled by its ancient walls, York is dominated by the soaring pinnacles of York Minster, the finest Gothic church in northern Europe. From narrow streets, lively with chic cafes and specialist shops, to trips on its tree-lined river, York is a treasure house with a superb choice of museums and galleries. You can rent a limo in Yorkshire as part of your day out to one of the York museums or galleries. A classy silver Chrysler C300 limousine (often referred to as the Baby Bentley) would be the limo of choice here. For a fabulous range of limousine hire in Yorkshire contact us today. The East Yorkshire coastline ranges from the golden splendour of some of Britain's finest beaches to the wave pounded rocks of the East Coast's highest cliffs at Flamborough Head. Limotek covers limo rental to the seaside resorts of Bridlington, Hornsea and Withernsea, giving you a chance to experience the traditional English seaside of Yorkshire in style. 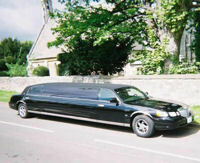 Contact us for all stretch limo hire in Yorkshire. A school prom in Yorkshire is a fantastic occasion to use limousine hire and there is a massive selection of vehicles to choose from such as huge Hummer limousines, white stretch Lincoln limos, Fire Engine limousines and pink limos. To avoid disappointment, book your school prom limo in Yorkshire early. Contact Limotek now for fantastic school prom limo hire in Yorkshire. The lovely Yorkshire Wolds are the scenic background to the coastline with rolling hills, picturesque country towns and historic houses. Use a limo in Yorkshire to enjoy the Georgian charm of Beverley and Howden or to visit Selby, with its massive abbey. Limousine hire in Yorkshire can be used for any reason and Limotek can offer some great deals if you book early so for cheap limo hire in Yorkshire contact Limotek today. Limotek.co.uk covers all towns and cities in Yorkshire such as Hull - with its long deep-sea fishing tradition and now a leading port. Other towns covered in Yorkshire include Halifax and Huddersfield. For limousine hire in Yorkshire contact Limotek today. There is a vibrant city feel to modern centres in Yorkshire such as Leeds, Bradford, Sheffield and Doncaster, with Leeds now firmly established as the UK's second commercial centre after London. There are plenty of reasons to use limousine hire in these fabulous Yorkshire towns, such as limo rental in Leeds for the Royal Armouries and Brewery Wharf, limousine hire in Bradford for the National Museum of Film, Photography, and Television and Salts Mill, limo services in Sheffield for the superb sporting facilities, and limo rental in Doncaster for a day at the races at the Dome and racecourse. For limo hire in Yorkshire for all occasions contact us today. Yorkshire limousine hire can be used whatever the event or occasion. Pink is a popular colour for ladies on their hen night so we can provide plenty of pink limos including the Pink Panther Excursion limousine to cater for this. The lads like to make an entrance and impress the ladies on their stag night so the massive 8-wheeler silver Hummer is available. How about the Range Rover Sport limousine, a great birthday present with its colour changing disco floor, on your birthday? Wow clients and seal that important deal with fantastic BMW X5 limos for a business event or reward your staff at their office party with the amazing Pink hummer limo. Your wedding is covered with Party bus limousine hire and if you need an airport transfer in Yorkshire contact us as we can cover that as well. 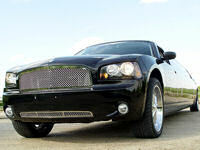 Whatever the event or the limousine required, we have limousine hire in Yorkshire covered.